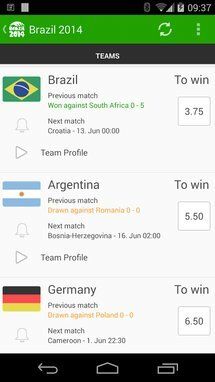 I couldn't start this selection without mentioning the official FIFA app for Android, an elegant and native application that follows all football tournaments around the world. Front and center are the news, displayed in big thumbnail images. 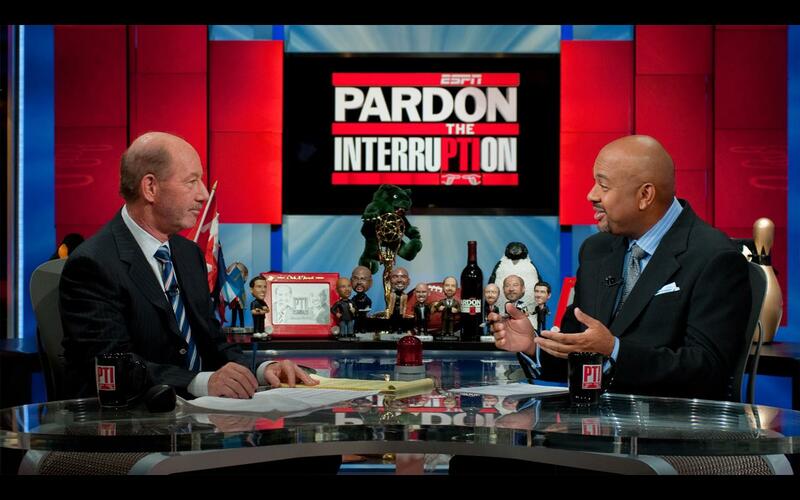 Sometimes, an overlay of a camera icon or play button will indicate that the story is a photo gallery or a video. The World Cup section of FIFA lists the groups, match schedules, qualification matches, and some cool information about the host Brazil, its cities, and stadiums. 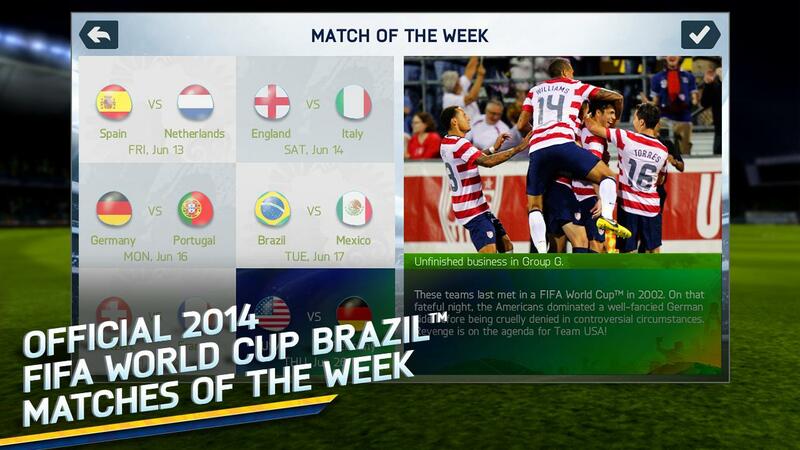 When it comes to matches, FIFA will display the line-up, an overview, and a list of match events as they happen. The app isn't exactly the most detailed of this selection, but it's enough if you just want official scores and basic information to stay in the loop. 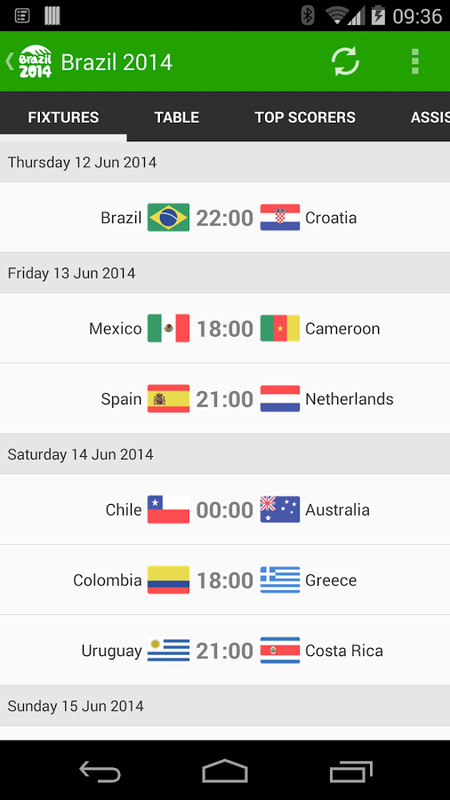 FotMob is one of my personal favorites in this list and may be the app I end up choosing for my World Cup fix. The landing page takes you straight to the point with three tabs listing yesterday's, today's, and tomorrow's matches. 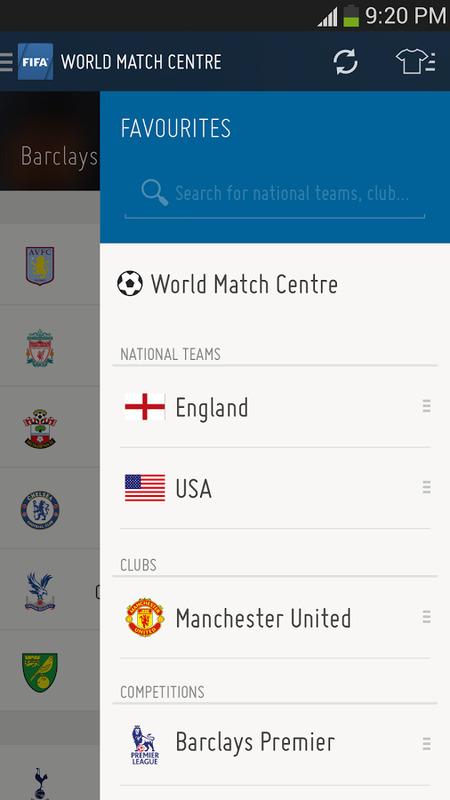 Tap the alarm button at the top, and you'll be able to pick the matches you want to receive notifications for. Every match in FotMob has some facts (goals and substitutions), betting odds, and a live ticker with commentaries written by football experts. These are superbly detailed and could be the next best thing if you are unable to watch the matches live. 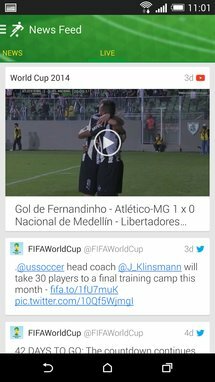 FotMob also includes news, Brazil city guides, results from the qualification stages, team and tournament stats, and squad details. Onefootball Brasil is my other favorite app on this list thanks to its well-designed interface, stats, tweets, videos, and the handy "History" section for all the World Cup trivia you could want. 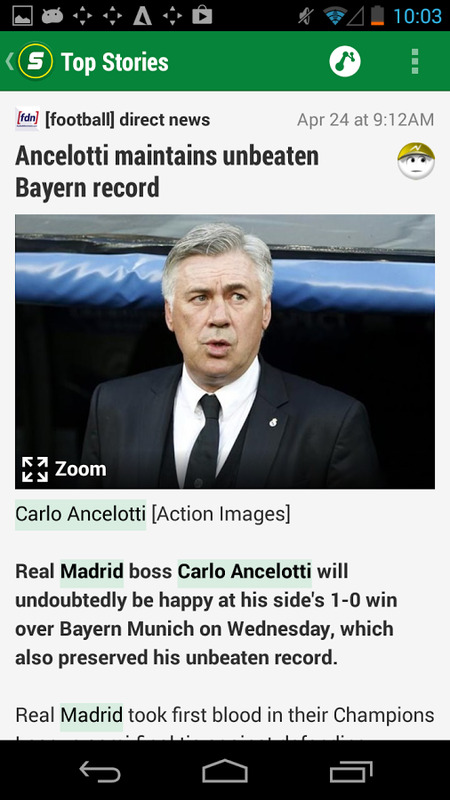 It works really well as a news aggregator, getting stories from different sources like the Guardian, Goal.com, and SkySports, as well as tweets and YouTube videos for goals and match highlights. 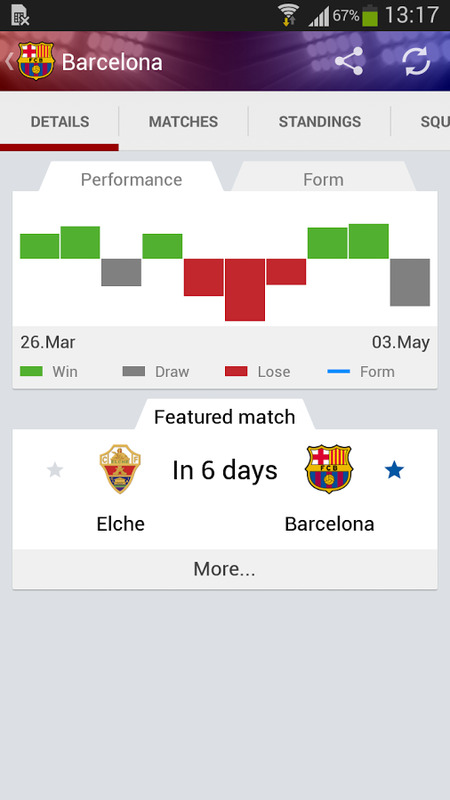 Its match section is highly detailed too, including the line-up, push notifications, a live ticker for commentary, a fan zone to share your thoughts with other supporters, and live statistics. 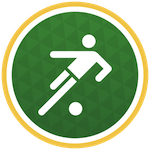 Compared to FotMob, Onefootball Brasil has more videos, the World Cup history, and the fan section, but lacks the detailed qualifiers and friendly matches that would help put things into perspective for different teams. 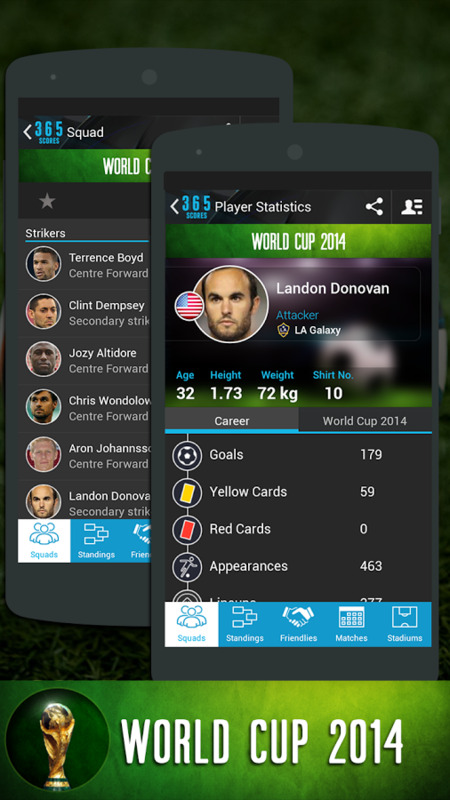 Its player stats are also limited to the World Cup, so there is no easy way to get a player's track record. 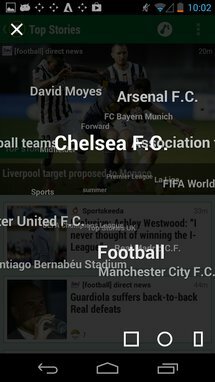 You may want to download the global Onefootball app to get those, but you will also get all the other football leagues too. 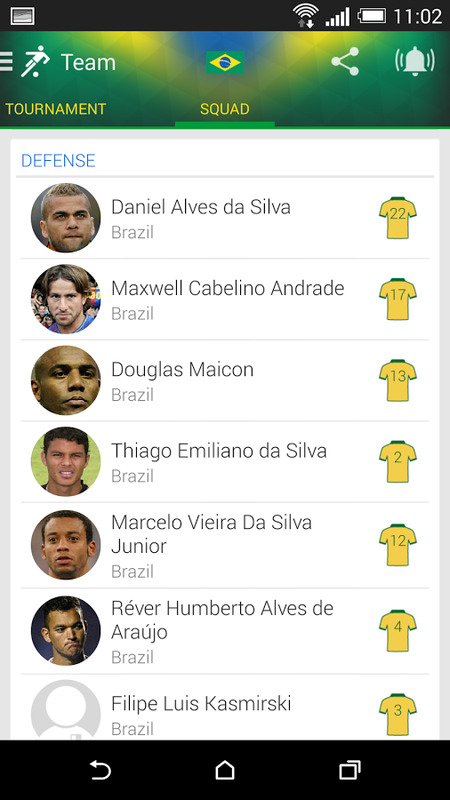 Onefootball Brasil would have been an excellent tailored tournament app if it weren't for that limitation. 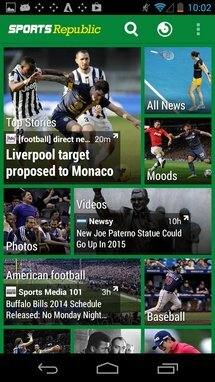 365Scores is an excellent all-around sports application for the NFL, NBA, tennis, Formula1, football, and more. However, its World Cup Zone is our focus point here. 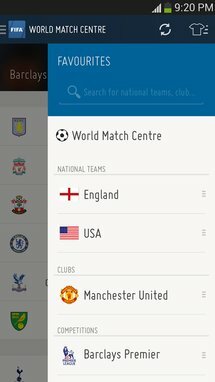 It includes squad details, standings, matches, stadiums, and the elusive friendlies section that a few other apps tend to forget. 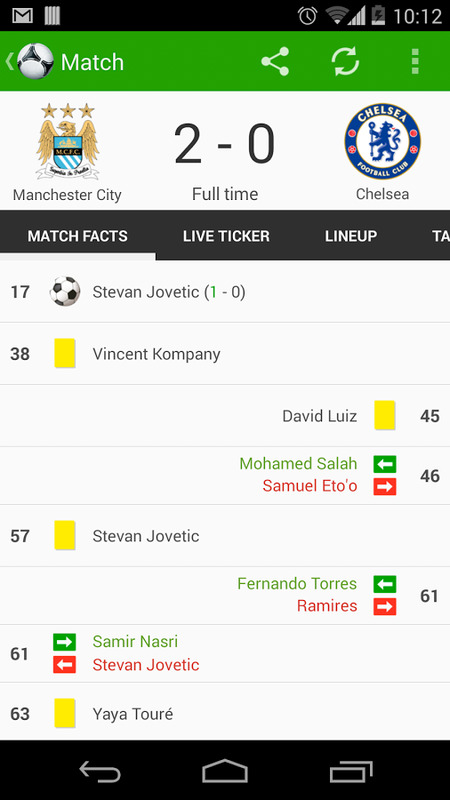 365Scores is most commendable for its match section, with the lineups, goals, bookings, substitutions, other stats, highlights and goal videos, live comments from other fans, and even a chat area to share your thoughts with a specific friend. 365Scores also has push notifications for your starred teams results and a personalized home screen with the latest relevant scores, news, videos, and tweets. Its only fault is a rather clunky UI that feels like a mix of Holo and old Gingerbread elements, and the lack of live professional commentary during matches. SofaScore is another general app that follows popular sports like football, tennis, baseball, and basketball, as well as lesser popular ones like darts and snooker. In terms of World Cup coverage, SofaScore will provide match event notifications for your starred teams matches, a detailed schedule, standings, outcome votes for each match, highlight videos, and stats sheets. These are also available for the past World Cup tournaments dating all the way back to 1998. 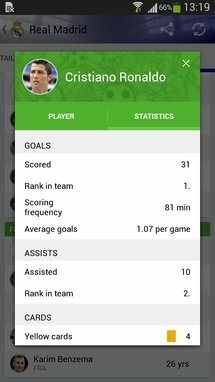 The app distinguishes itself by having one of the smoothest and cleanest UIs on this list, only matched by Onefootball and FotMob. Its live section lets you quickly see what matches are being played now, its graphs are simple yet informative, especially each team's performance and form, and its starting lineup for each match is beautiful to look at. 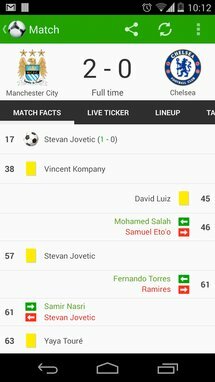 If you're watching the matches live and don't care about detailed commentary or news, SofaScore is one of the best apps you can use to complement your experience. 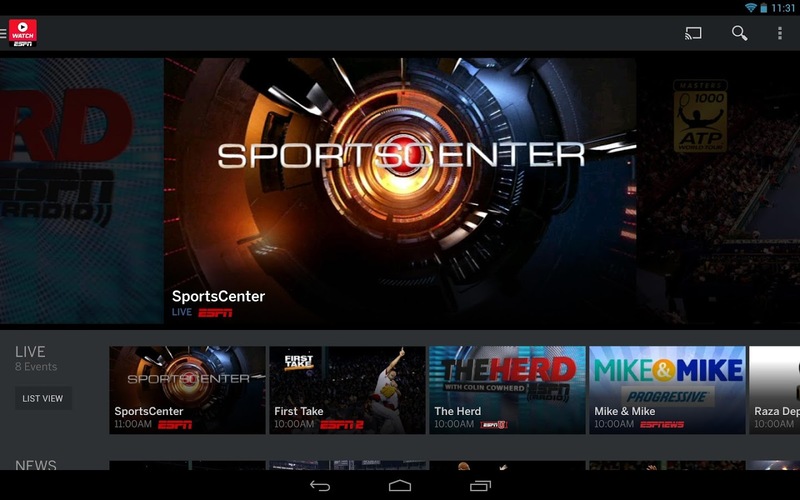 Although limited to the United States, WatchESPN earns its place on this list by being one of the few legit applications that will be streaming the World Cup 2014 to your phone or tablet and also supporting the Chromecast. Thanks to both features, football fans in America will be able to watch games live or catch them up later, enjoy analysis and highlights after each match, and stream everything to their television sets. 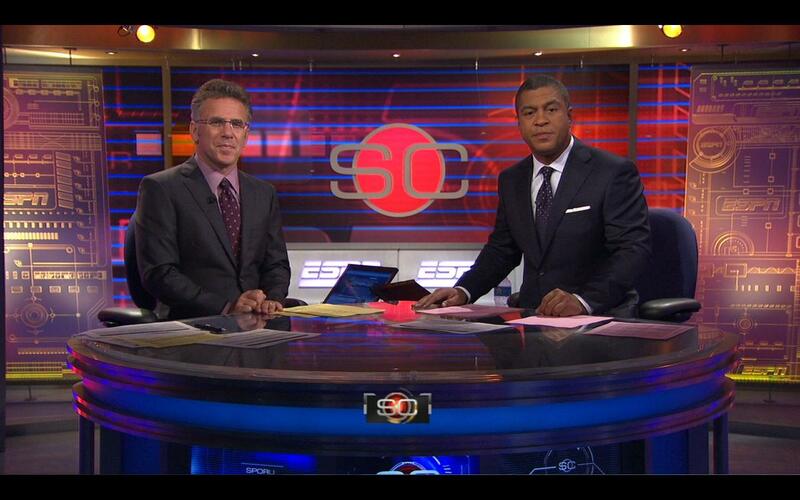 ESPN Live's features are available for free to subscribers of AT&T U-verse, Comcast XFINITY, DISH, Google Fiber, Verizon, and other cable providers. However, some videos in the app aren't locked and can be viewed by anyone, regardless of their subscriptions. This content is very limited in span and quantity though, and I wasn't able to find any unlocked football matches or highlights at all. 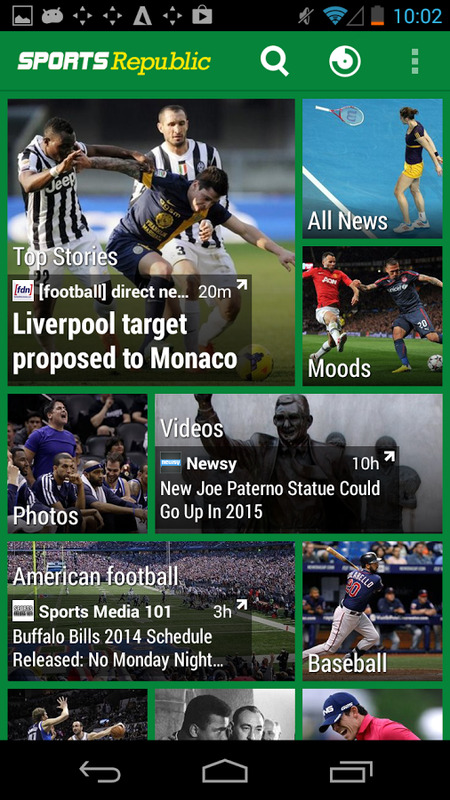 Made by MobilesRepublic, the same company that brought us the excellent news aggregator News Republic, Sports Republic is geared toward sports news articles. 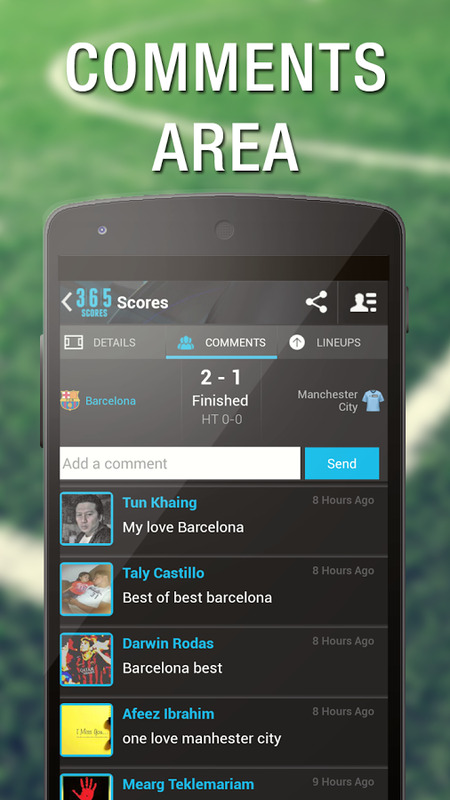 Once you pick a sport, league, or team, the app will curate articles, photos, and videos from multiple sources. These are then presented to you in a beautiful and intuitive interface that uses resizable cards, animations, and gestures. Sports Republic isn't specifically tailored for the World Cup, but you can limit its content to only show you news from the competition and your favorite teams. The app even has a night mode, a "Moods" card where stories are organized based on how they made readers feel — astonished, delighted, indifferent, worried, or devastated — and a Tag Nav system that overlays a tag cloud and lets you pick the topic that interests you. 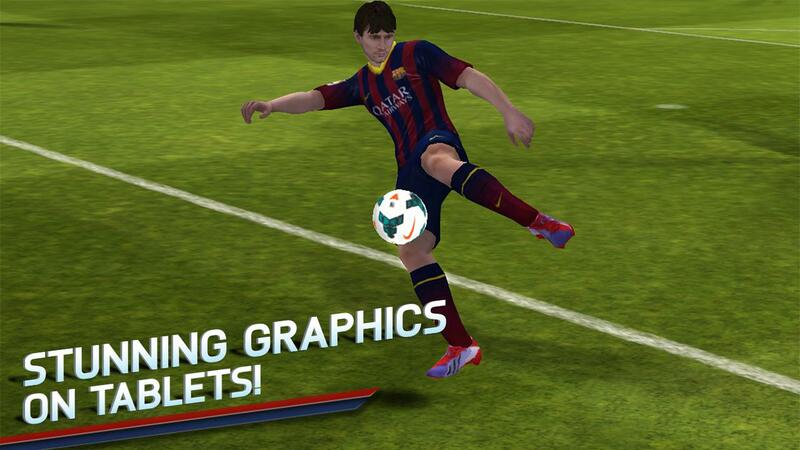 Whether your team isn't playing as well as it should, or you think you can coach and control the players to win the World Cup, the official FIFA 14 for Android is the must-have game for any football fan. The game covers 33 leagues and 600 teams, with updated injury and suspension data from the real world. 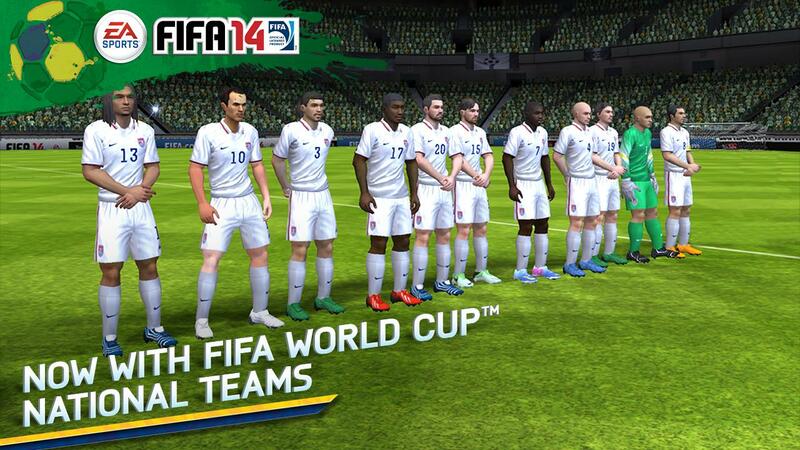 You can also trade players, pick a new play style, and change the formations to create an ultimate team. FIFA 14 has better controls than its predecessors, live audio commentary, and realistic graphics with recognizable players from the various leagues. The game has a lot of IAP though, so you will have to dig into your wallet to unlock the tournament mode. 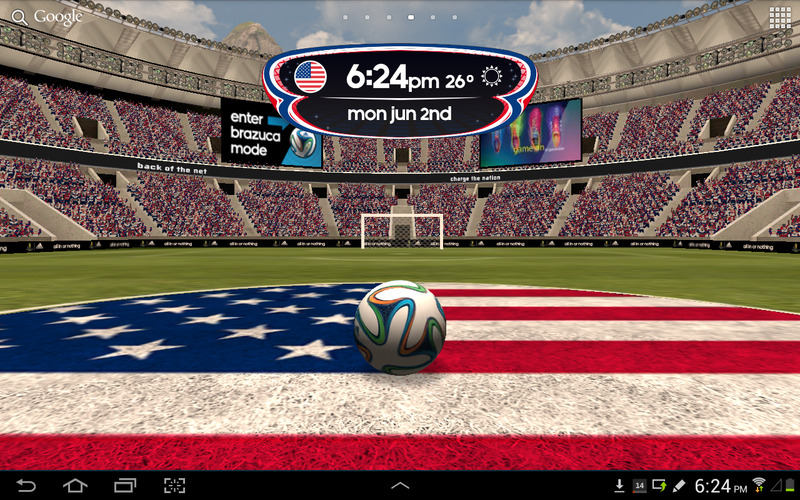 Nothing says you are a die-hard football fan better than a live wallpaper with a stadium and your favorite country's flag in the center. 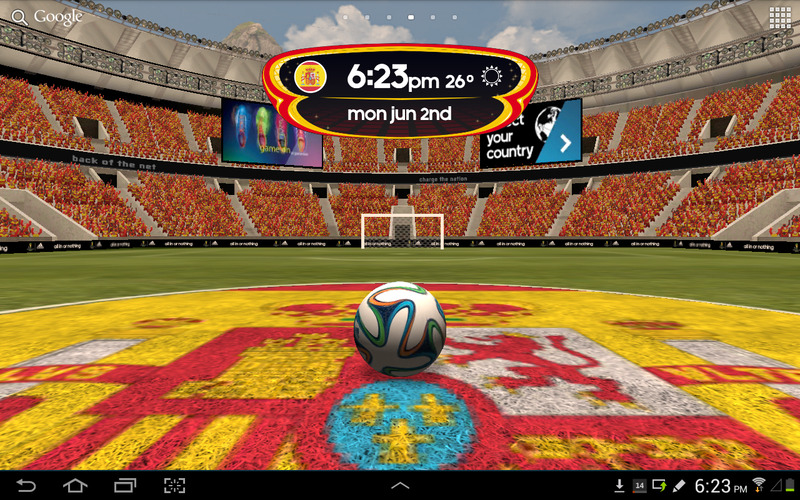 This one takes things a few steps further with a 360 degree rotation of Maracanã Estádio, Rio de Janeiro's stadium where the World Cup final will take place, animations that take you from space to the center of the field when you unlock your device, and Brazuca, the official 2014 ball. 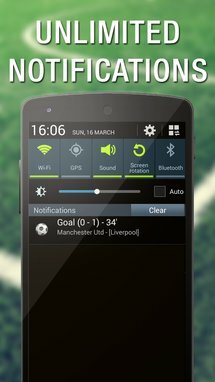 Other features include text, email, and missed call notifications, time and weather widgets, and a Brazuca mode where you can shoot and score the ball in the opposing goal. 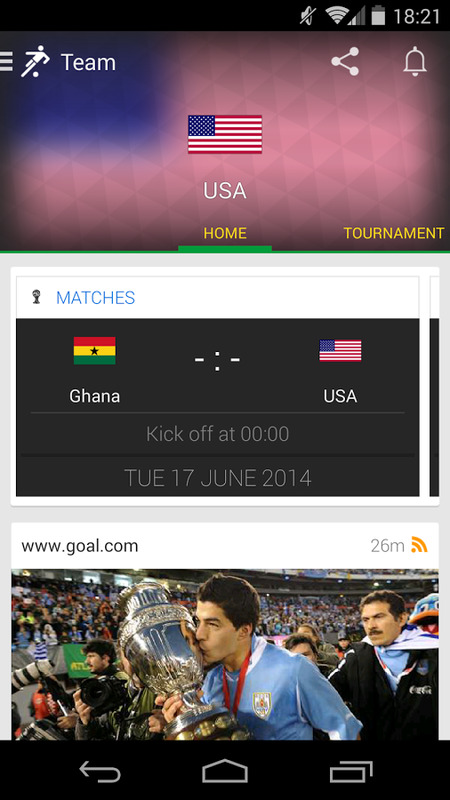 Over the past week, Google has been adding a few World Cup features to some of its apps. If you want a simple way to enjoy the tournament without following every minute and every team, these may be just enough. For starters, Google Search has added dedicated cards for match schedules, scores, and rosters. 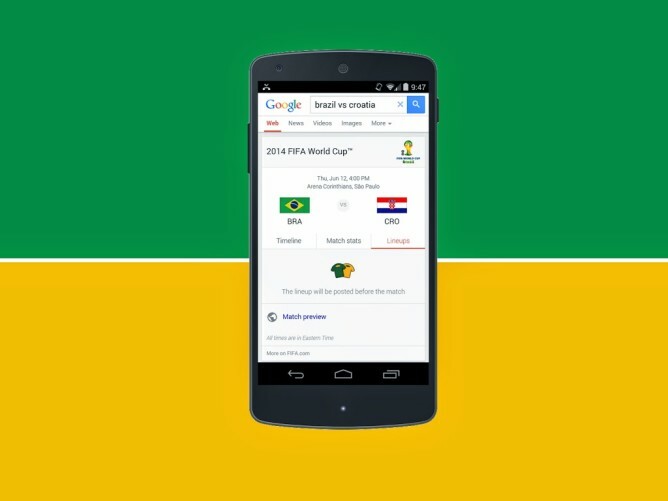 You can even pull these up on Google Now by asking, "when will Brazil play?" for example. Google Maps has also added Street View support for the different World Cup stadiums to give you a virtual tour of the matches' locations. 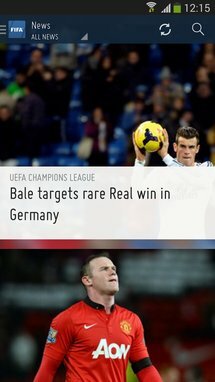 ESPN FC: ESPN's football app has news, scores, tweets, some limited stats, text recaps and video highlights for some matches, all in a minimalistic interface. 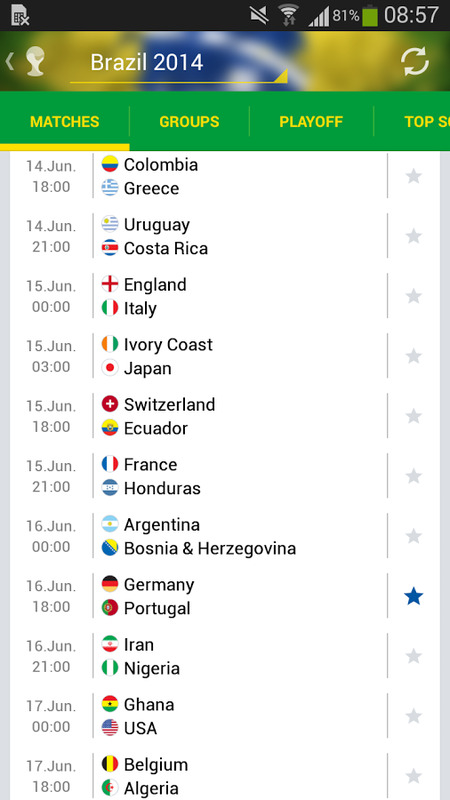 theScore: An all-in-one sports app with a World Cup section that includes fixtures, news, alerts, match stats, and minute-by-minute match descriptions. Yahoo! 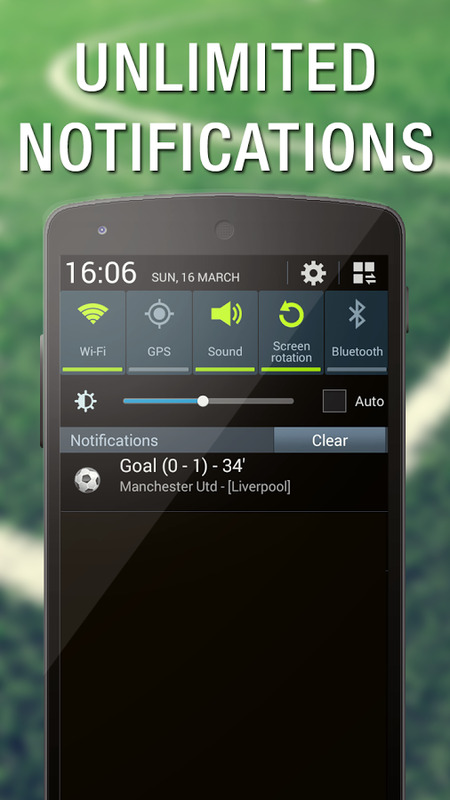 Sports: Another excellent application for sports fans, with World Cup news, scores and match details. 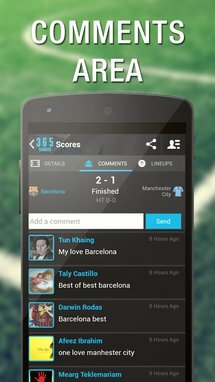 Goal Live Scores: A simple football app with several leagues, scores, and limited stats. Super Scores (Football Scores): An excellent football app with news, stats, schedules, and a very useful preview and review section for every match. LiveSoccer World Football Cup: Despite being a bit of a barebones application, LiveSoccer has the essentials, including alerts for your favorite competitions and teams, main match events, and statistics. 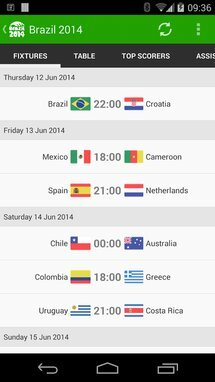 Brazil Cup 2014: A minimalistic app dedicated to the World Cup, with stadiums, team twitter accounts, a simple World Cup history section, and match schedules and results. 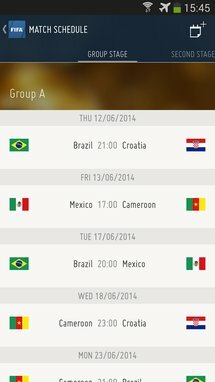 Jalvasco World Cup 2014: A personalized World Cup app with user-selected tabs, stadiums, news videos, and a history of the tournament section. Travel Portuguese Futebol Ed: This is Rosetta Stone's language application for Portuguese, including a specific section for football, so you can talk in the host country's native language. 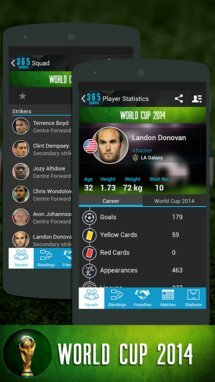 While there are hundreds of World Cup applications in the Play Store, the above selection contains some of the most popular and well executed apps. 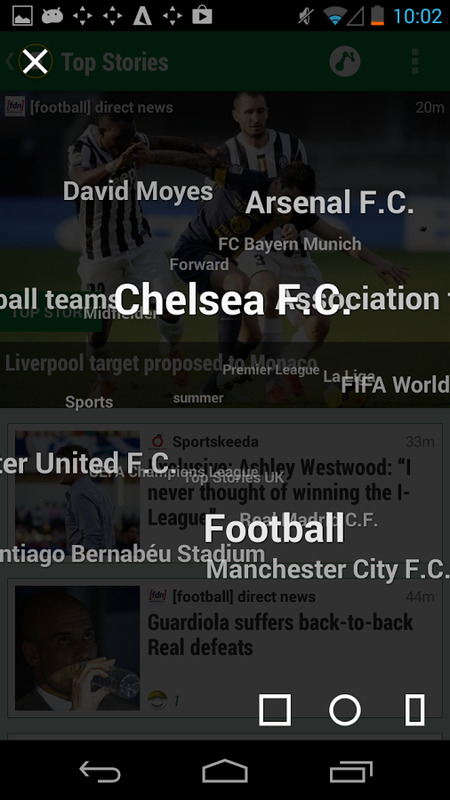 I'm still debating whether I should keep FotMob or OneFootball, but I will likely use both in tandem. And Força Brasil!